Your home is a major investment – probably the biggest you’ll make in your life. That’s why it’s important that it looks good, keeps you comfortable year round and doesn’t lose its value over time. That’s no easy task but there is one way to guarantee all three: install vinyl siding. 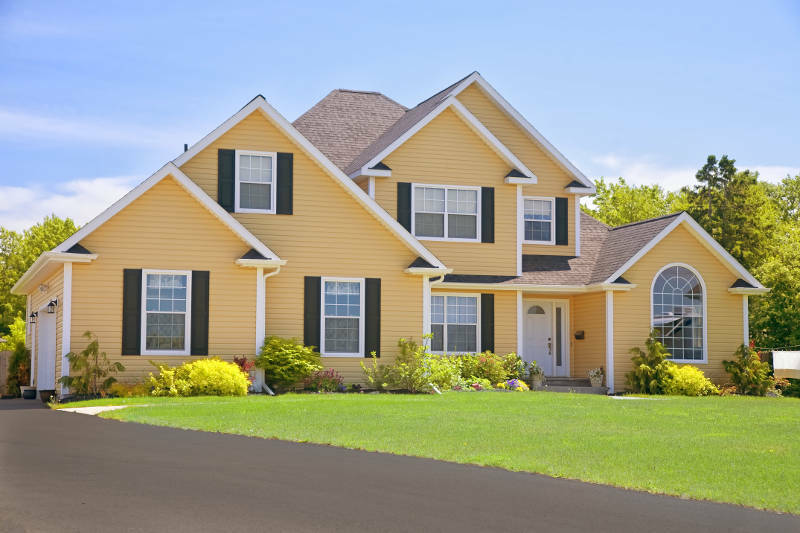 In this article you’ll see that vinyl siding is the best options for Green Bay homeowners because it insulates your home and is extremely customizable. Let’s get started! We’re not saying vinyl siding is your only home cladding option, we’re simply saying it’s the best. Don’t believe us? Check out where other siding materials fall short and why vinyl is easily the best choice for your Green Bay home. There’s no siding material more expensive than wood. Wood doesn’t only cost a lot initially but it continues to be a pricey investment with its frequent maintenance costs. You’ll need to paint and stain your siding every few years in order to keep it looking its best. Wood siding is also prone to warping, rotting and swelling. These problem happen when the wood is introduced to moisture. With Green Bay’s rainy springs, humid summers and snowy winters, wood siding probably isn’t your best option. Wood also has a bug infestation problem. Termites and carpenter ants eat and live in wood. Other siding materials don’t have this problem. Fiber-cement is less expensive and won’t require as much maintenance as wood. That doesn’t mean it’s the best siding choice for you. Fiber-cement has problems with gapping over time. Also fiber-cement’s color may need touch-ups because the siding can easily get damaged or chipped. Fiber-cement is difficult to work with too. It’s very heavy and hard to cut. Not to mention it can be dangerous to install. Silica dust, which can be found in fiber-cement siding, should not be inhaled because they’re poisonous. Aluminum siding is durable and inexpensive but it’s not energy efficient. In fact, aluminum conducts heat. That means the outside air can easily transfer through it making your home warmer in the summer and colder in the winter. That’s the last thing you want from your replacement siding. If you want a durable, energy efficient, maintenance free, and affordable siding option, vinyl is the way to go. 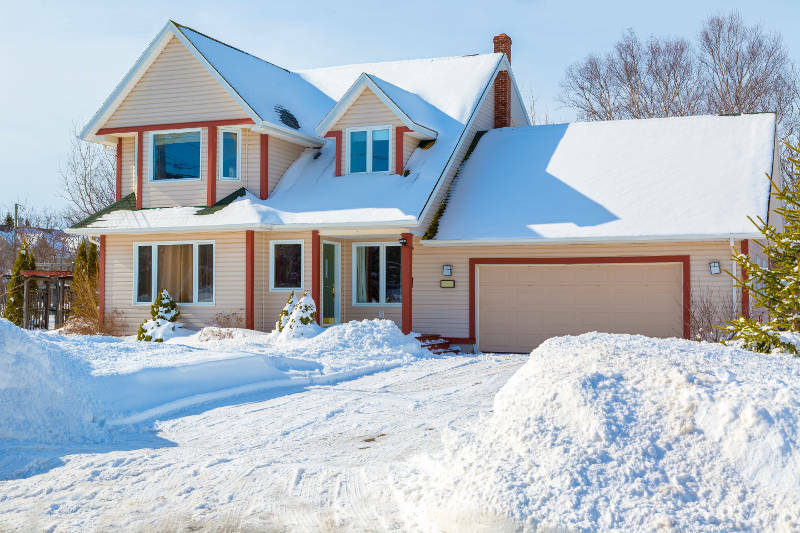 Vinyl siding is built specifically for Green Bay homes – it’s able to handle any weather. You’ll see the difference immediately with vinyl siding. One major thing that separates vinyl siding from other siding materials is insulation. If you go with vinyl, you have option of adding extra insulation between your siding and home. But what does the added layer of insulation do? Have you ever been woken up by chatty neighbors or barking dogs outside? Well that can be a thing of the past. The insulation will decrease the amount of outside noise you hear from inside your home. This is because sound waves will have to travel through a thick insulation board to get into your home. If you live in Green Bay, you get to experience all types of weather – rainy springs, blistering hot summers, windy falls and brutally cold winters. 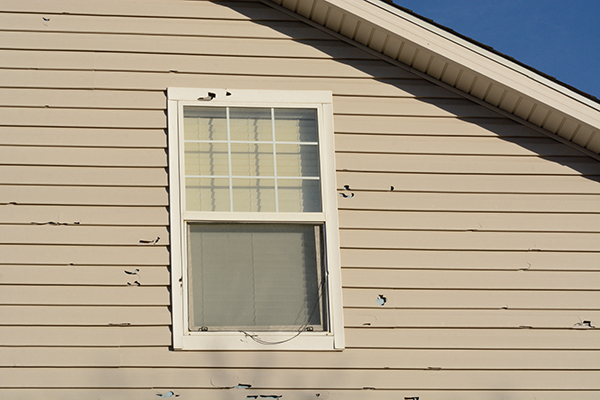 It’s important that your siding can protect you from these weather extremes. Vinyl siding is the solution. 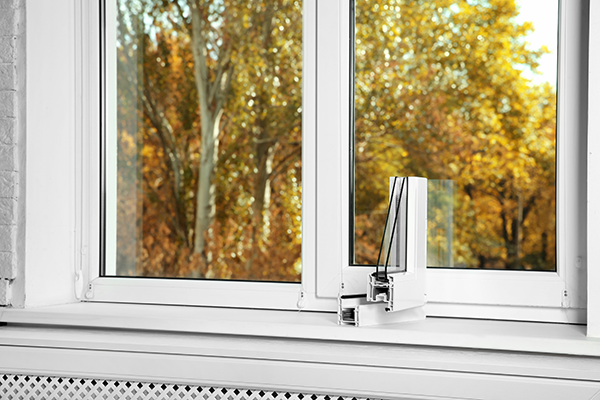 It prevents heat or air from escaping your home. No longer will you have to fight with your thermostat to find the right temperature. 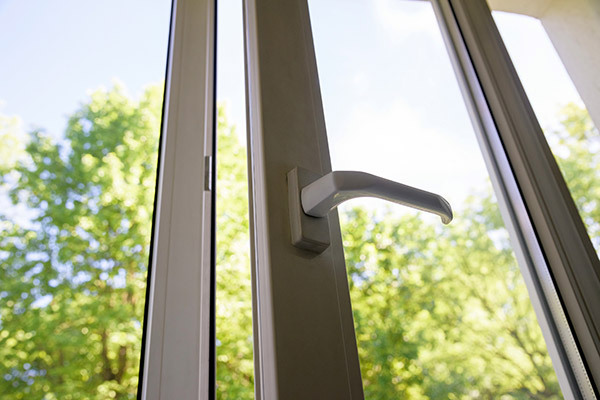 Now your home will be air tight and comfortable no matter how cold or hot it gets outside. One of the best parts of vinyl siding is that it could save you money. 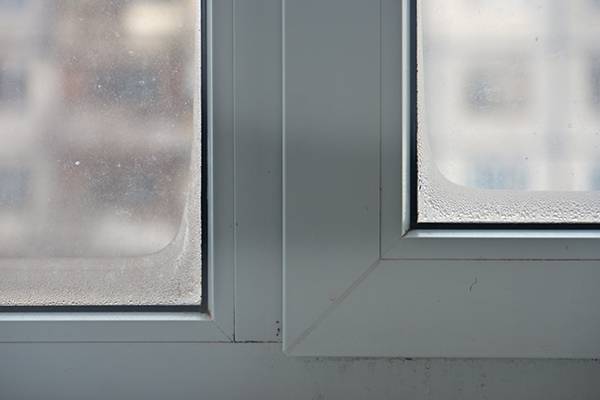 By preventing indoor air from leaking outside, you’ll save money on your gas and electric bills. How you ask? If air is leaking from your home, your furnace or air conditioner has to work harder in order to reach your desired temperature. The harder your appliances have to work, the more energy they use. On the flip side, when your home is airtight with insulated siding, less air can escape. Your furnace and air conditioner face less pressure and the cost of your utility bills will decrease. 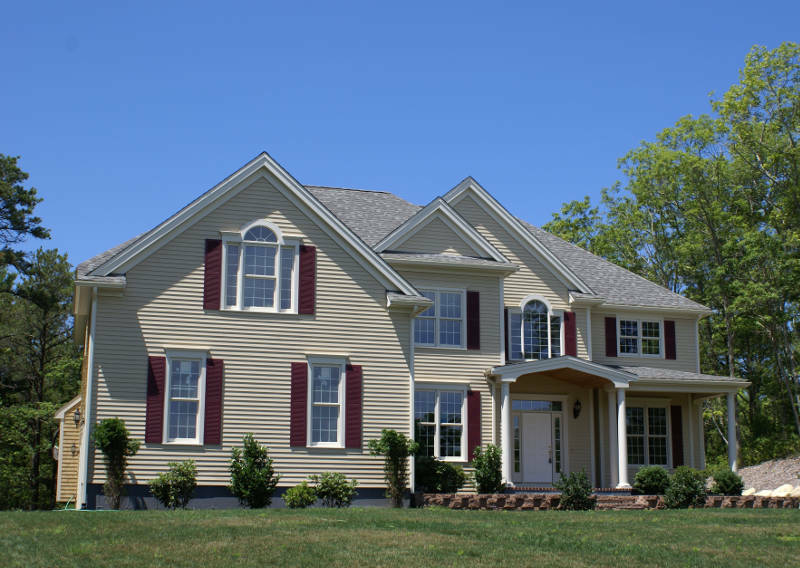 A major benefit to vinyl siding is that it’s completely customizable. You’re able to make it any color or style you’d like and can even mix and match. You can create the house of your dreams. Vinyl siding comes prefinished in many different colors. That means you can have your house be almost any color you want. So whether it’s dark green, yellow, off white or brown, you can do anything you want with your siding. You can complete your siding project with soffit and fascia as well. 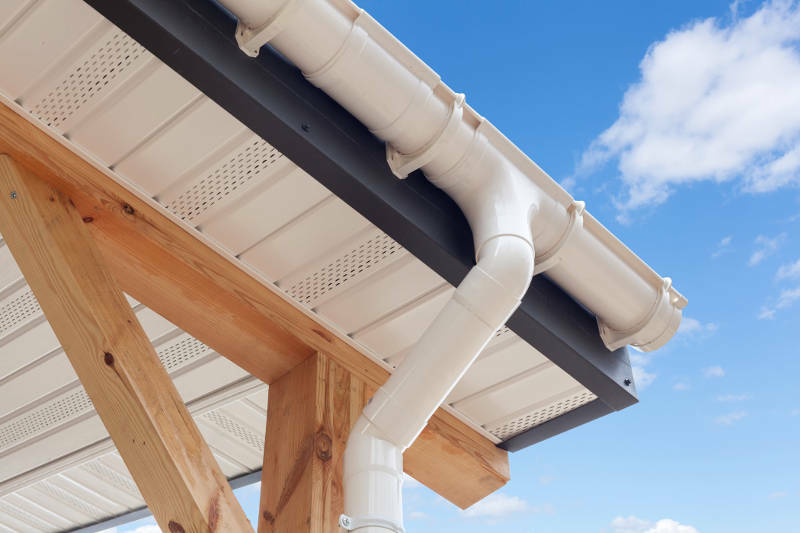 Soffit goes under extended rooflines and fascia works as a trim between your roof and siding. You don’t have to pick only one vinyl siding style and color. Part of the fun is mixing and matching colors and styles to make your perfect home. For instance, some siding styles such as scalloped and shake are found in gables or smaller areas and are used to complement other styles. One of the great things about vinyl siding is that it requires little to no maintenance. It won’t get damaged by Green Bay’s weather, it doesn’t need to be painted or stained and it definitely won’t rot or warp. Vinyl really is the perfect siding. You will need to clean your siding to prevent it from getting dirty or grimy. You’ll want to do this once or twice per year depending on how quickly dirt builds up on your siding. Simply mix soap and water and scrub it into your siding with a brush. If you have second story siding, you can use a power washer. So if you have siding that makes your home more energy efficient, requires no maintenance and is stunningly beautiful, surely you’re going to increase the value of your home. That’s the power of vinyl siding. According to Realtor.com, you’ll recoup 72.9% of your investment with vinyl siding. Pair that with the money you’ll save on your energy bills and you’ll see vinyl’s financial benefits. If you’ve determined that replacement vinyl siding is for you, don’t hesitate to get a quote from Feldco now. You’ll be on your way to a more comfortable and beautiful home.